﻿ The Winery at Versailles - Ohio. Find It Here. *"Best Winery in Ohio" winner 2015, 2016, 2017, & 2018*From its inception in Wilcox, Pennsylvania, to the present-day facility in Versailles, Ohio, owners, Mike and Carol Williams have strived to do well, to do good, and to have some fun. That's the essence of what we have done since 1994, when we first opened our doors. 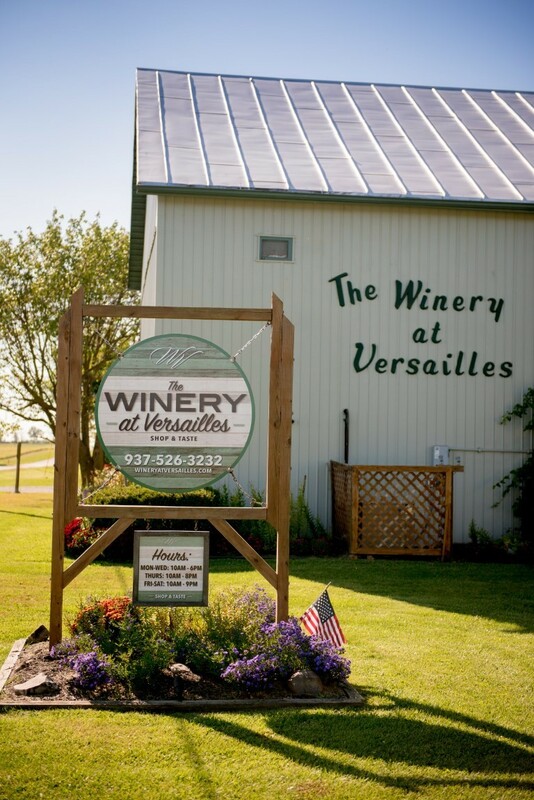 Since 2002, The Winery at Versailles, located outside the beautiful village of Versailles, Ohio, has offered quality wine to appreciative wine neophytes and connoisseurs alike. Nestled among fields of corn, soybeans and hay, you'll find this tiny haven of relaxation is just the right respite from the heat of the summer or the cold of winter. Upon entering this remodeled Annie Oakley-era tobacco barn, you will be invited in by an elegant but rustic chandelier, friendly and knowledgeable staff, as well as three cozy seating areas, some with fireplaces. In view of these areas are several acres of vineyard, a small waterfall, and a covered patio for outdoor enjoyment. Some of our special events throughout the year include gourmet dinners, wine pairings, and just plain 'fun' nights. We also have a Bistro style menu and offer gourmet pizzas, sandwiches, soups and more. For a unique and relaxing evening or afternoon out, The Winery at Versailles is 'Where It's At'.